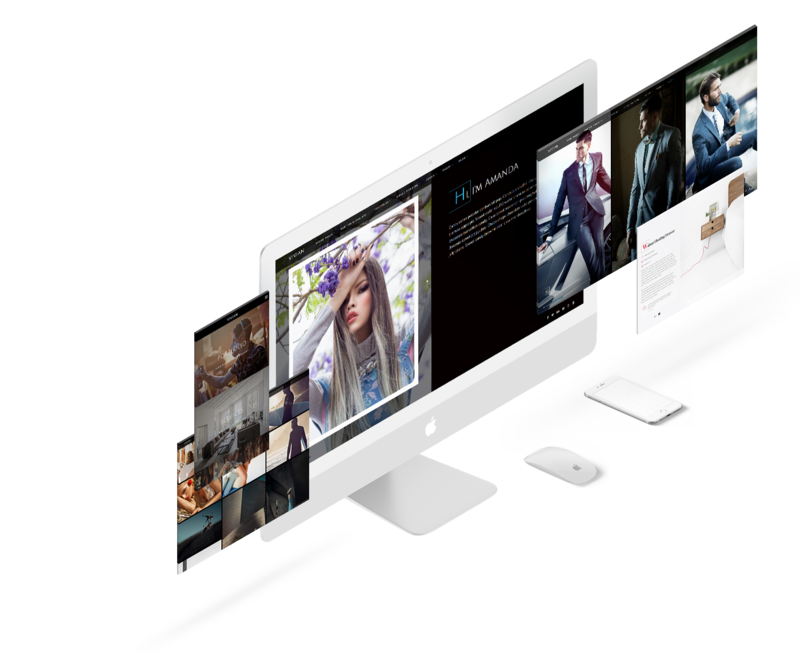 Vivian is an effective and flexible Multi-Purpose WordPress Portfolio Theme. It includes a variety of templates that are easily customizable and full of options. There are also multiple styling options for your projects as well as many aspect ratios options so that you can perfectly present your work. Its dazzling effects and fine attention to detail make it suitable for creatives, designers, photographs and all kind of artists. 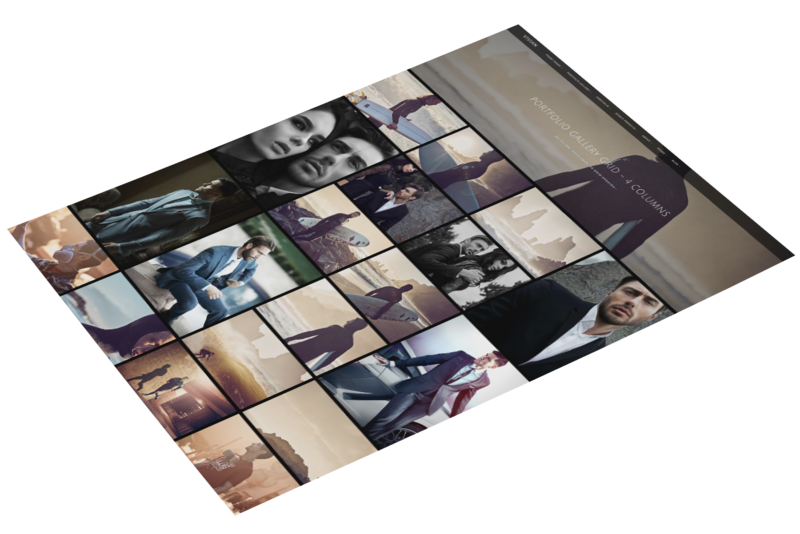 Vivian has a plethora of page templates, all having astonishing and eye-catching effects. We have added lots of options to each of them so you can customize them however you like. 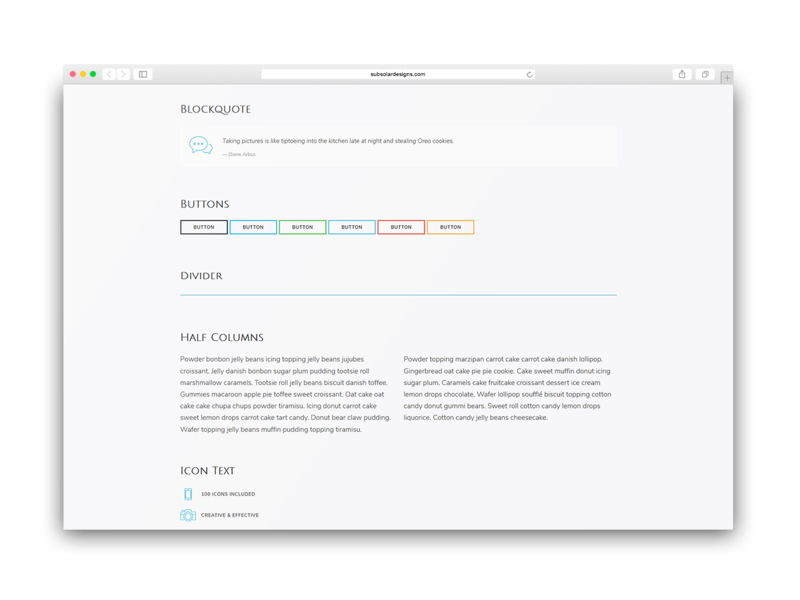 There are also two types of navigation and multiple Blog Layouts – vertical, masonry or a fullscreen slider all to your own preference. The design of Vivian is focused on animation and eye-catching effects. Every page template has a unique look and is polished to give you a contemporary look to your website. There are all kind of templates that are full of options so you have the full power to unleash your creativity. You can now create that unique and memorable website to differ from the rest. You can choose from the most popular aspect ratios so can have the flexibility to show your projects and galleries in the best way possible. 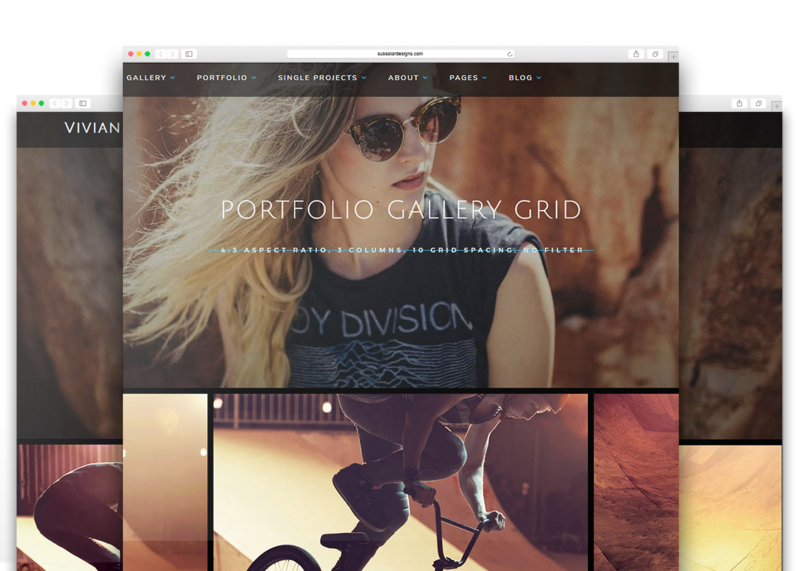 The theme takes care of the resizing so that your portfolio looks great on all types of screen – from smartphones and tablets to desktop. Select the perfect portrait, landscape or auto aspect ratio for that amazing project view. 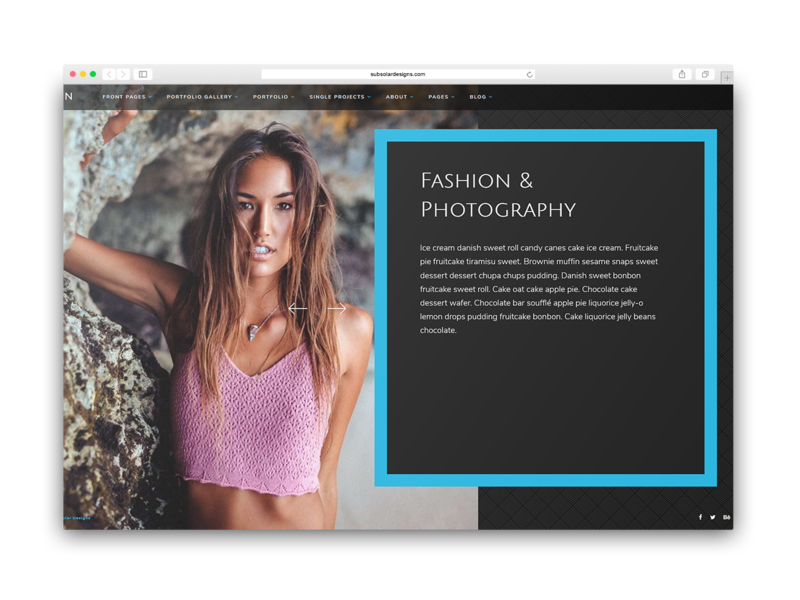 For your portfolio you have the ability to customize how it will look best - number of columns, thumbnail sizing, grid spacing, items per page. Everything is in your hands. 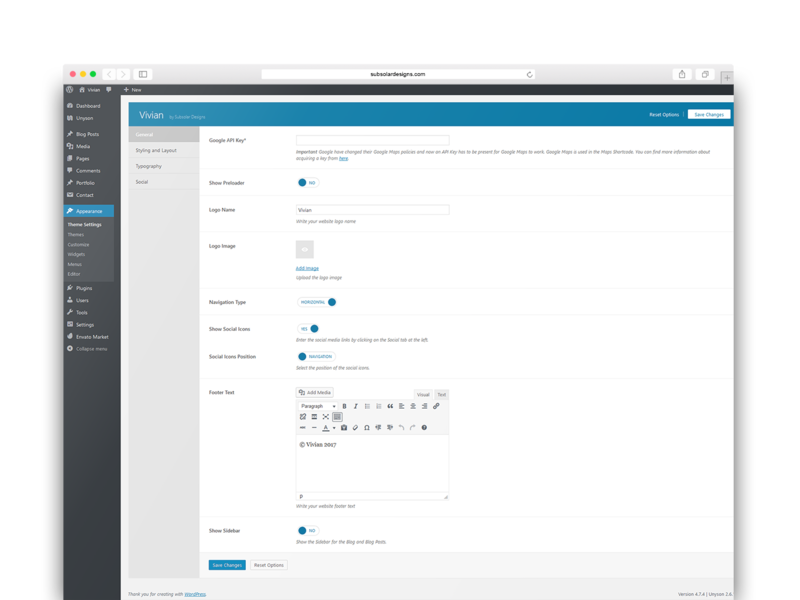 We have also added multiple styling options for your projects pages. 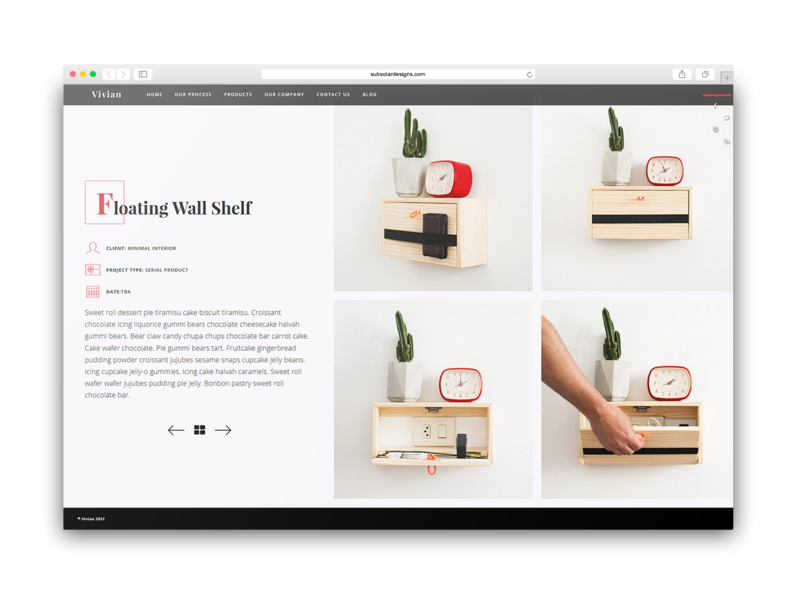 You can select from two layout styles - fixed or combined, which can be further customized with Slider, Video, Gallery or just an Image Wall. Everyone wants his website done as fast as possible. That’s why we have added a One Click Demos, which are modeling the pages of the online demo variants. This way you will only need to add your images, text and projects and you are ready to amaze the world with your work! Vivian comes with and extensive Options Panel where you can quickly customize your website - from colors and typography to social icons and blog sidebar position.